Voldemort has come a long way since hiding behind Professor Quirrel’s headscarf, so much so, He Who Must Not Be Named now has his own fan fiction origin film. Like fiction’s greatest characters before him – see Wonder Woman, James Bond and Iron Man – Lord Voldemort has been given the prequel treatment by a group of talented and dedicated Harry Potter devotees. But the fictional narrative of the famed franchise plot has left fans wanting more from Voldemort, his decent into pure evil and the murderous killing spree which left just one survivor: The Boy Who Lived. So, some creative sorts put together an almost-hour-long answer to those burning questions, after reading Harry Potter and the Half-Blood Prince. Titled Voldemort: Origins of the Heir, the offering is actually magical, excluding the slightly odd dubbing and the strange characterisation of a young witch, who can only be described as Hermione’s clone. The 52-minute long project, produced by Tryangle Films, follows the villain in his youth as Tom Riddle, and his journey to dark magic – told through a dramatic police investigation. In a series of flashbacks, Grisha MacLaggen – an heir of Godric Griffyndor – recalls how Tom Riddle earned a despicable reputation after his power-hungry involvement in the death of a fellow Hogwart’s student, Hepzibah Smith, a descendant of the Hufflepuff family. Amid intricate sets, impeccable costumes and a series of impressive effects, Origins of the Heir, comes complete with an epic twist which fits snugly alongside the official franchise films. I just watched the fan-made Voldemort: Origins of the Heir and as a big HP geek I can only say wow. Fellow Potterheads!! You guys HAVE to watch Voldemort: Origins of the Heir. These fans have done an OUTSTANDING job. So proud being part of this family.?? P.S. The guy playing young Tom Riddle is GORGEOUS.? Despite the wide acclaim and top notch effort from the amateurs, opinion is a broad church, and a lot of people don’t like the theory. I have MANY PROBLEMS with this Origins of the Heir fan film. The fan exploration of the dark wizard’s history, which has four million views at the time of writing, was nearly blacklisted by Warner Bros. The fan fiction creators at Tryangle had set up a Kickstarter campaign to fund their film only to run into problems with Warner Bros who issued a takedown notice. Meanwhile, the wealth of the wizarding world as first laid out by J.K. Rowling back when gold was but a mere glint in a niffler’s eye, is being explored through the official channels in various spin-off productions. The fan-made short film no doubt satisfied the cravings of Potterheads, ahead of the release of Fantastic Beasts 2: The Crimes of Grindelwald, which is penned for release on November 16. [ooyal[ooyala player_id=”5df2ff5a35d24237905833bd032cd5d8" auto=”true” width=”1920" height=”1080" autoplay=”true” pcode=”twa2oyOnjiGwU8-cvdRQbrVTiR2l” code=”x4dGR5ZDE6tABd4_VRcFdE7_b3ep_3G_”]p>The highly-anticipated sequel – which follows Fantastic Beasts and Where to Find Them – will be the first in the five-film series to introduce Albus Dumbledore as a young man. The flick will follow the Dark wizard Gellert Grindelwald, played by Johnny Depp, who escapes from the Magical Congress of the United States of America, and plots to raise pure-blood wizards to rule over all non-magical beings. 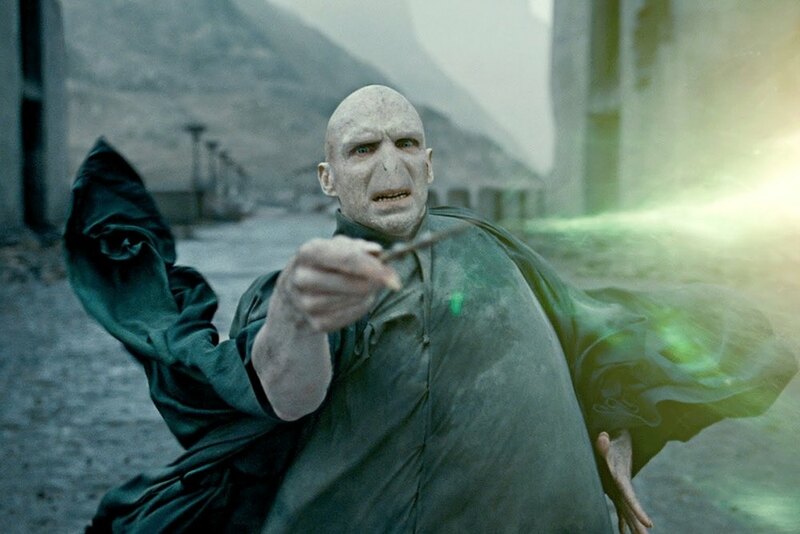 But will any magical villain ever live up to Voldemort?